A good book, an unusual historic photograph, or other item from the museum store is a great way to support your museum and enrich the lives of friends and family. If you would like to ask about other items in our store, please email us at museumstore@cooshistory.org or call us at (541) 756-6320. Please visit our store to support your museum and our local authors and artists. 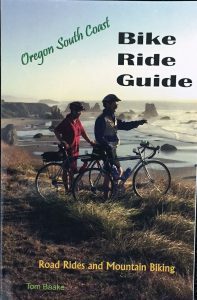 Road rides and mountain bike trails in the region from the I-5 corridor to the coast, from Florence (Hwy 126) to Crescent City (Hwy 199). The rise and decline of the timber industry in Coos County (1850s-1970s), with sidelights on coal mining, shipbuilding and port operations. 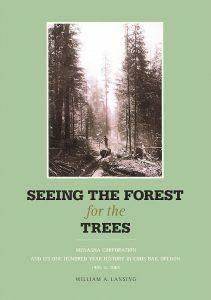 Author Lansing is a 35-year veteran of the timber industry, retired in 2005 as Chief Executive Officer of the Menasha Forest Products Industry. 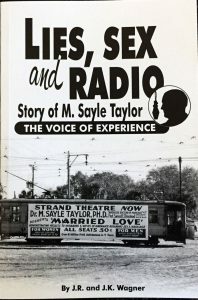 A biography of Marion Sayle Taylor, who styled himself “The Voice of Experience” in his radio advice show, after an earlier career as school administrator in Marshfield and North Bend. Written by well-known historians of the Bay area.